HP CC364X MICR - HP P4015, 4015, P4515, 4515 MICR Toner - For use in HP P4015n, HP 4015, HP LaserJet P4015n, P4015, P4515, P4515n, 4515 printers. Page Yield: 24,000 @ 5% coverage. Premium New Modified HP black CC364X MICR toner cartridge used for check printing in HP LaserJet P4015, P4015dn, P4015n, P4015tn, P4015x, P4515, P4515n, P4515tn, P4515x, P4515xm, 4015, 4515 printers. High Yield, 24,000 pages. 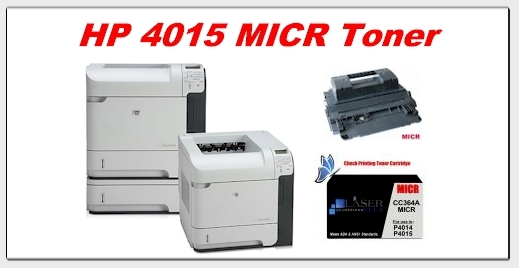 You have found the best source of * HP 4015 MICR Toner * for use in all HP LaserJet P4015 and P4515 Printers.